Coreopsis tinctoria-Plains coreopsis or Golden tickseed is a slender annual often growing in disturbed areas, in sandy ground on roadsides. The plant grows up to 1m tall and has pinnately-divided leaves on multi-branching stems, occurring mostly in the lower part of the plant. It blooms abundantly from July to September having daisy-like flowers produced on long stalks. 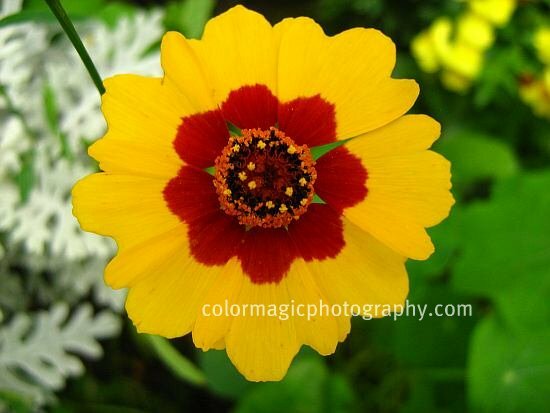 The flower petals are gold yellow with a deep mahogany center. Flower colors vary, some have more mahogany on the petals and less yellow. 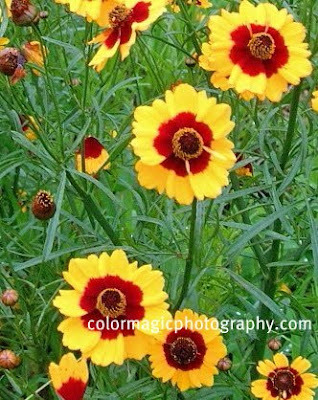 Plains coreopsis or calliopsis prefers full sun or part shade and does best in sandy or well-drained soils. 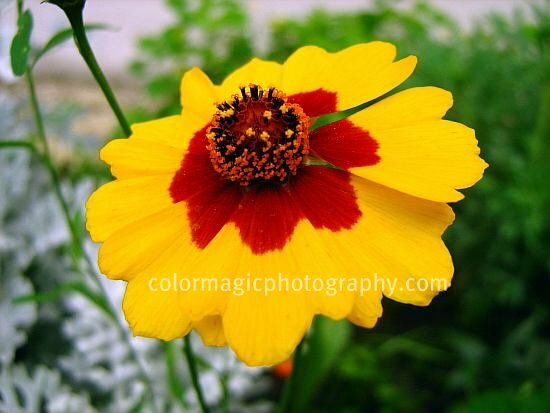 Coreopsis tinctoria is very easy to grow and it's widely cultivated as garden flower and landscaping ornamental. ...eine herrliche Kokardenblüte....in einem strahlenden Sonnengelb....klasse..